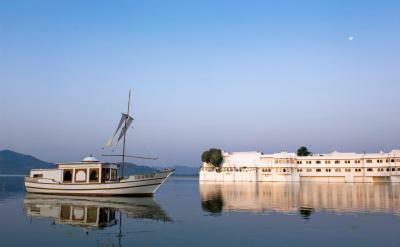 Lock in a great price for Taj Lake Palace - rated 9.5 by recent guests. 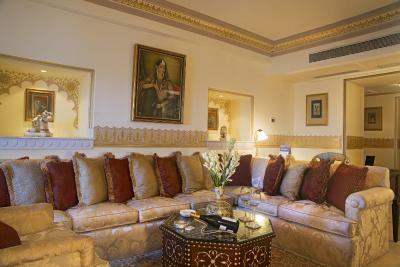 Kindness of the staff, exceptional location, great architecture and interior design. The ambience-setting flute live music daily, sunset yoga on the roof, the incredibly kind and helpful staff, delicious food & cocktails, the romantic nooks, the most beautiful views, spectacular gardens.. The service was also impeccable - special touches like freshly popped popcorn delivered to the room with a movie with borrowed from the library, the housekeeping staff spotting that our toothpaste was almost out and replacing with a fresh packet. The reception staff were also excellent and very helpful. 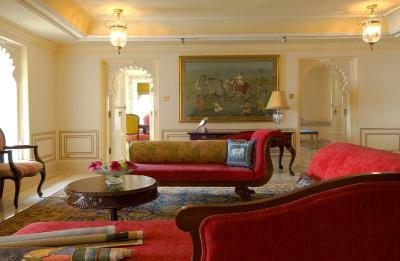 Hospitality, relaxing, of utmost beauty and staff did everything they could and more to make your stay memorable. 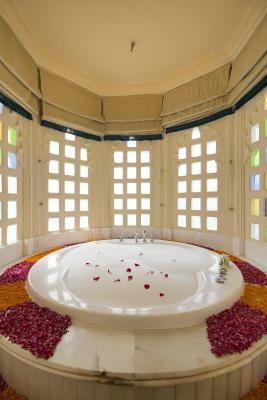 Is indeed the most romantic hotel in the world. Remarkable is that the guests were all different young, backpackers too, not only elder rich people, all nations untied to celebrate life at the best place there is. Should be on your bucket list. 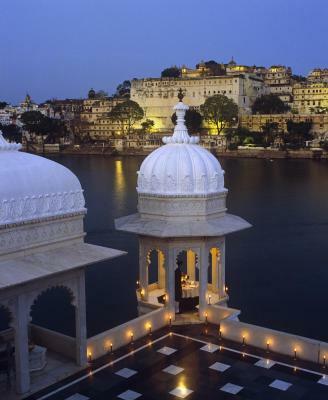 Stunning location in the middle of Picola Lake full of old times charm, very attentive staff, great food at the Indian restaurant Neel Khamal, nice sunset boat ride, lot's of activities in the hotel itself. Fantastic heritage building, good service and breakfast was lovely. 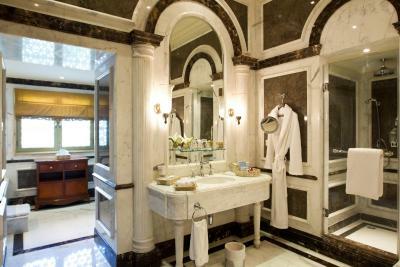 From beautiful marble flooring, original room features to communal areas, the palace is worth paying the extra for. 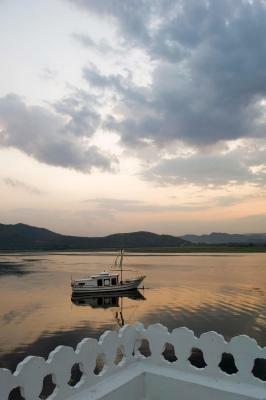 Rather romantic location being in the middle of the lake, with very efficiently run boat service to and from the pier. 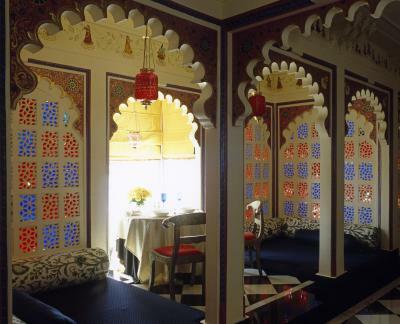 Restaurants serves excellent Indian cuisine as well as international dishes. Staff was always friendly and helpful. The pool area has limited sunbeds but we always managed to find a couple. 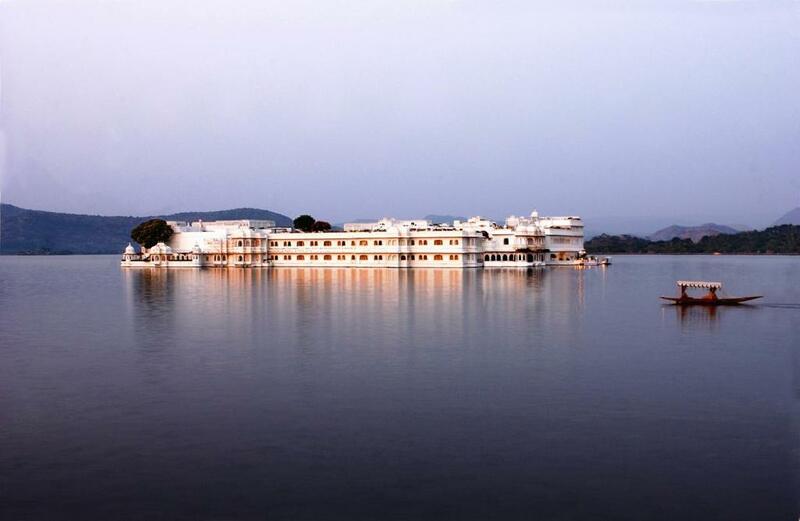 Do take their organised evening boat tour of the lake, it's about an hour and totally worth it as you get to know about all the heritage buildings around the lake and beautiful view of the Taj lake palace itself from a different view point. The old town and shops are easy to get to by walking once you get to the pier. Also in February when we visited, there were days with alot of mustard flies, swarming about the courtyard and the pool area. They are harmless, but bothersome. Just be aware. Everything was amazing. 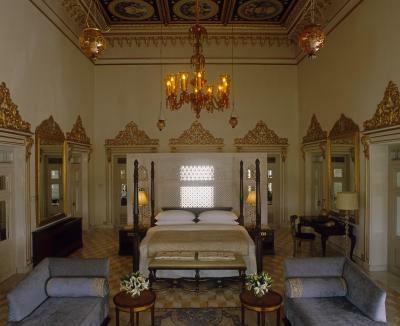 The kind and helpful staff, the excellent food and the room was breathtaking. 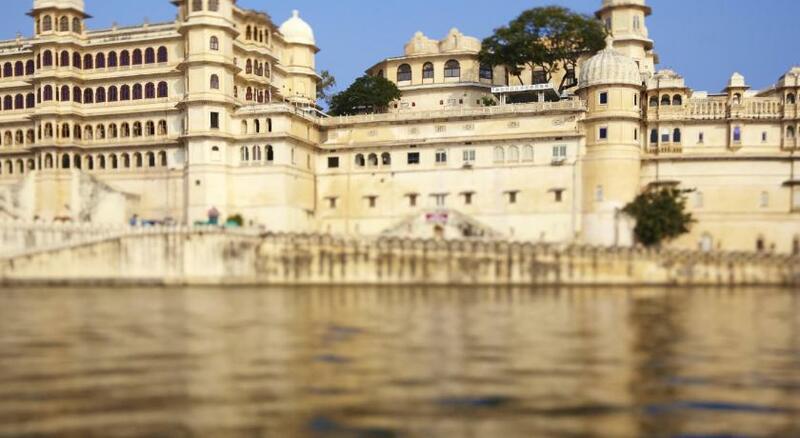 Altogether a wonderful and unique experience in one of Rajastahns most romantic cities. It is just amazing from the moment where you take the boat to the hotel until you leave! Wonderful breakfast, most helpfull service. 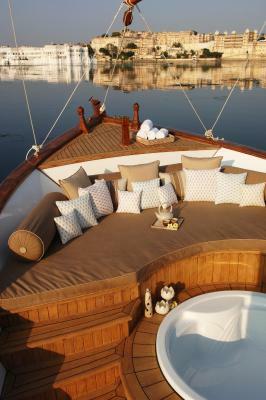 It smells very good there....just wonderful and a dream! 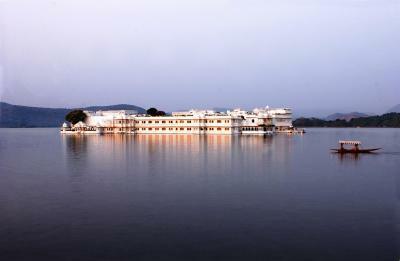 The location on the lake is perfect, with a small boat ride to the hotel from outside the main Palace. The staff were so friendly and attentive. 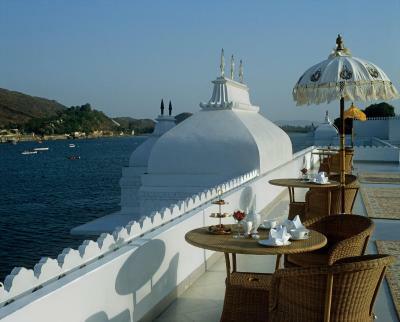 The only place to stay if you want the stunning views of Udaipur. No where else has the full panorama. 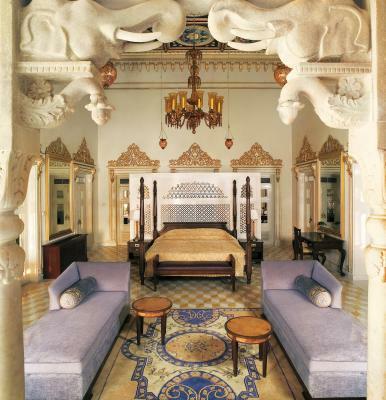 One of our top picks in Udaipur – and a guest favourite. 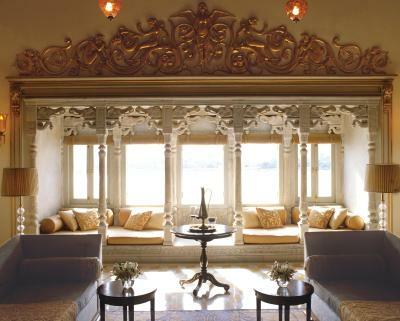 Situated in the middle of Lake Pichola and built in 1746, Taj Lake Palace is built with marble and features majestic architecture. 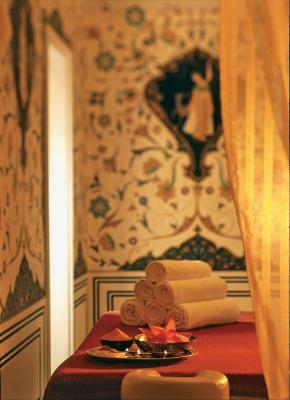 It offers a full service spa at Jiva Spa and customised programmes including site-specific yoga sessions. 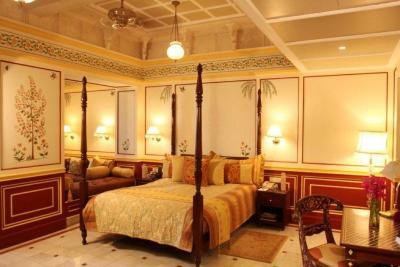 It has breathtaking views of the City Palace, Aravalli and Machla Magra hills, and Jag Mandir. Rooms come with butler service. 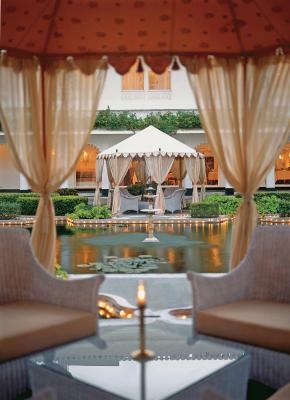 For a truly local experience, the hotel offers guided heritage walks, astrology sessions and cultural shows. 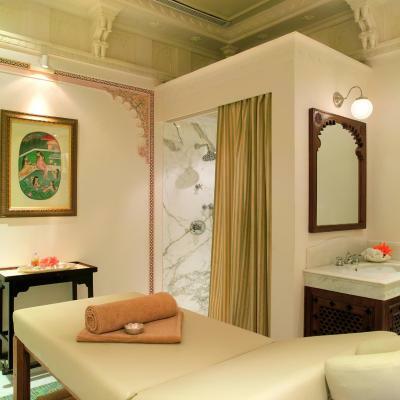 Leisure facilities include a 24-hour fitness centre and a hot/cold spa pool. There is also a shopping arcade, games room and business centre. 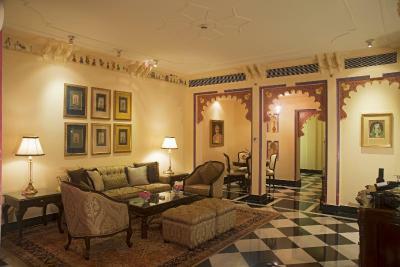 Guests can take a heritage walk and know all the details about the palace. 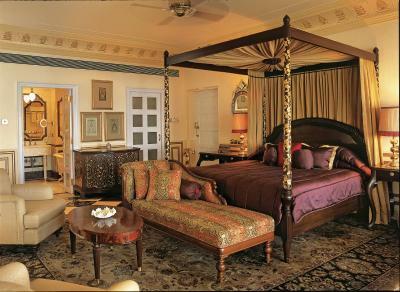 Taj Lake Palace boasts rooms with beautifully carved wooden furniture and luxurious silk fabrics. Offering garden or lake views, each room has a flat-screen TV and DVD player. 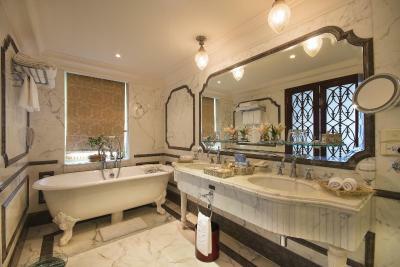 The private bathroom comes with a bathtub, Forest Essential toiletries and shower. 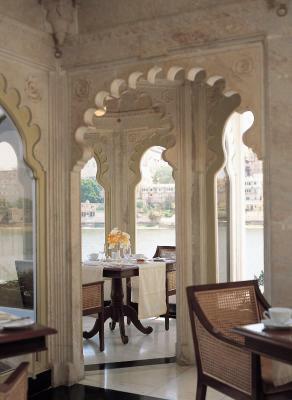 Offering views of the lily pond and a traditional ambience, Neel Kamal is a fine-dining dinner-only restaurant that serves authentic flavours of the royal cuisine of Udaipur, the North West Frontier and other Indian delights. Bhairo is a rooftop restaurant that treats you to European cuisines. 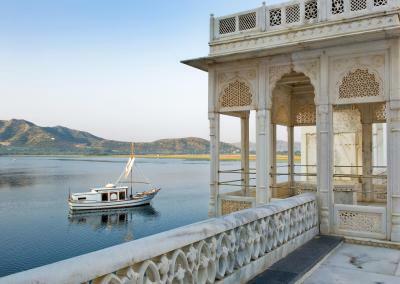 Jharokha that overlooks the Lake Pichola is an all-day dining restaurant. 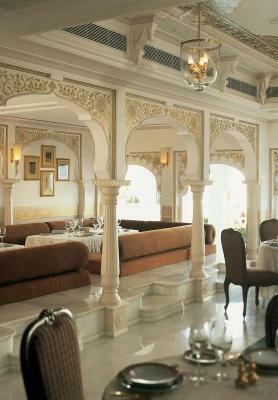 Amrit Sagar Bar offers a selection of cigars, sheeshas and wines. 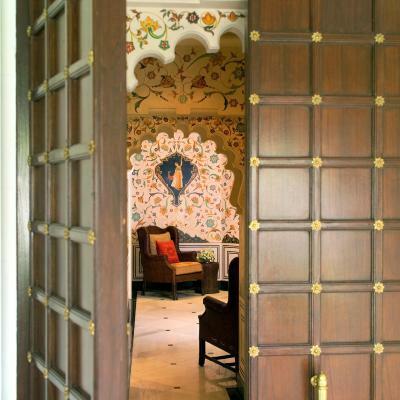 The property offers private dining in fairy tale settings with handcrafted menus. The hotel is just 0.6 miles from the city centre. 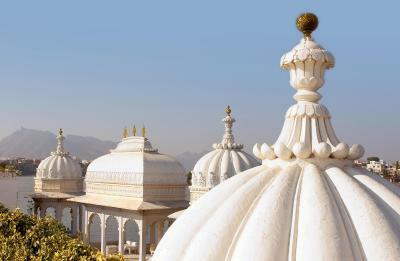 It is 2.5 miles from Udaipur Railway Station and 16.2 miles from Maharana Pratap Airport. 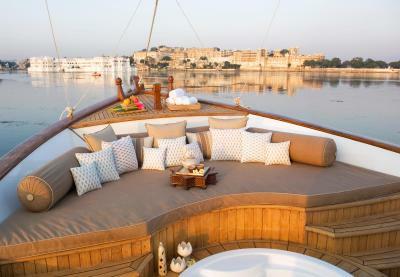 This is our guests' favourite part of Udaipur, according to independent reviews. 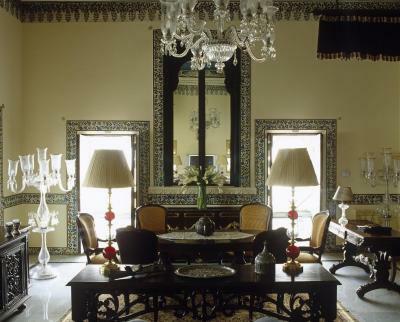 This property also has one of the best-rated locations in Udaipur! Guests are happier about it compared to other properties in the area. 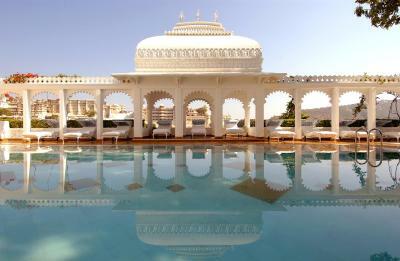 Taj Lake Palace has been welcoming Booking.com guests since 16 Jun 2011. 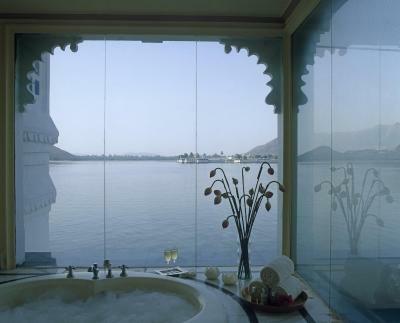 When would you like to stay at Taj Lake Palace? Offering garden views, each room has a flat-screen TV and DVD player. 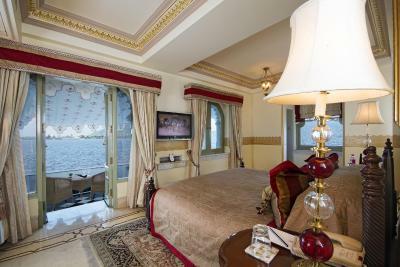 Room features lake views, flat-screen TV with DVD player and butler service. Spacious room offers lake views and flat-screen TV with DVD player, minibar and hairdryer. 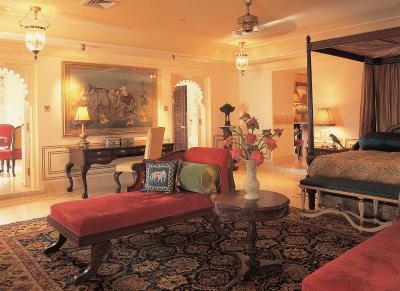 Features traditional Rajasthani decor. Spacious room offers lake views and flat-screen TV with DVD player. 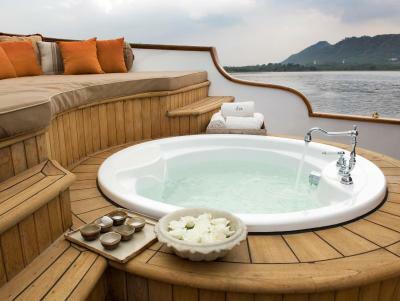 Large and luxurious suite offers lake views and the palace butler service. 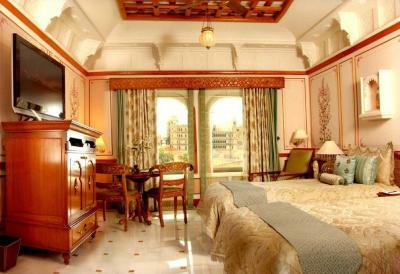 Huge imperial suite offers lake views and the palace butler service. This double room has a seating area, DVD player and air conditioning. 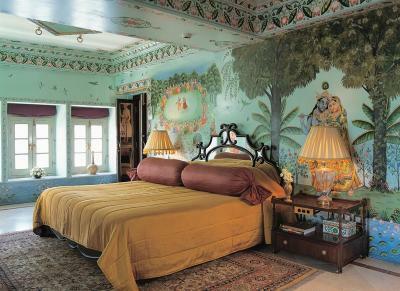 House rules Taj Lake Palace takes special requests - add in the next step! 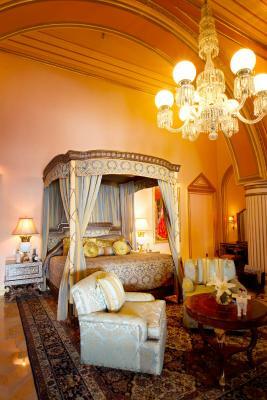 All children under 12 years are charged INR 5000 per night for extra beds. 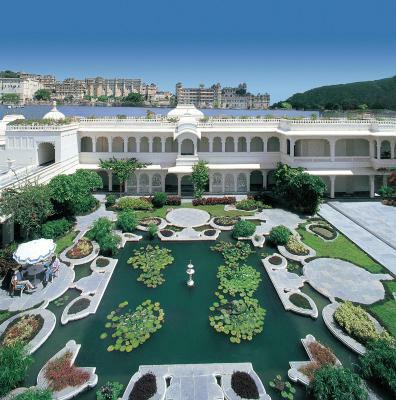 Taj Lake Palace accepts these cards and reserves the right to temporarily hold an amount prior to arrival. Please note that for Indian guests, cash settlements of INR 50000 and above will require a pan card copy during check out. 24th Dec 2018 - INR 7500 for an adult and INR 3750 for a child below 12 yrs of age. Kamal. 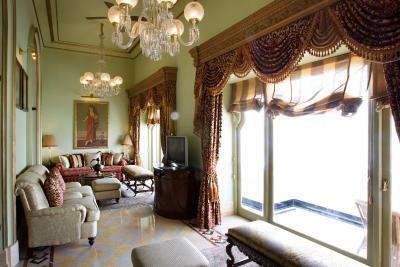 INR 22750 for an adult and INR 11375 for a child below 12 yrs of age at Jharokha. 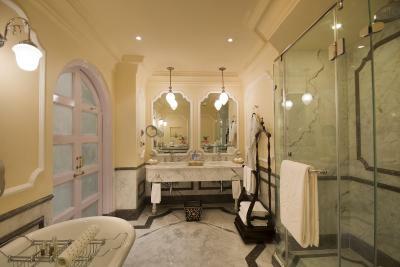 Please note that any cancellation will entail GST (Goods and Service Tax) as well as the room rates. 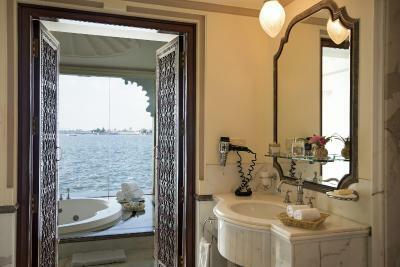 Please inform Taj Lake Palace in advance of your expected arrival time. You can use the Special Requests box when booking, or contact the property directly with the contact details provided in your confirmation. Quite an amazing place. We stayed one night only there and loved everything about it. 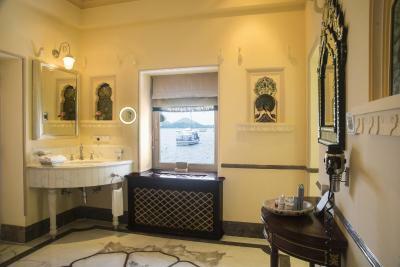 Being a (pricey) palace and a luxury heritage mansion, we had quite a few expectations but from the moment we boarded at the small jetty to the last second of our stay, each step of the way was paved with care, attention to details and taste. Rooms are probably the "less" amazing part of the stay. Although perfectly fitted with everything you expect, they are quite small and if you don't book a lake view, these rooms are even smaller. We had the chance to visit both room types and can honestly say the upgrade is worth it. 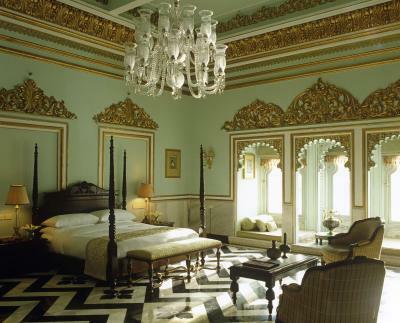 Then the palace itself is beautiful, charming and well maintained. We spent hours just going around visiting each corner and loving the views over the city. 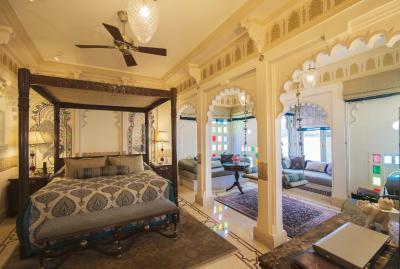 A great thing is that the hotel offers interesting activities on site : historic tour with a guide (free), sunset boat ride (INR 700/pax), Rajasthani music show, which basically keeps you busy a couple of hours there. Swimming pool is gorgeous, breakfast exquisite and the staff is dedicated in making your stay a memorable moment, which comes out as genuine and highly appreciated. 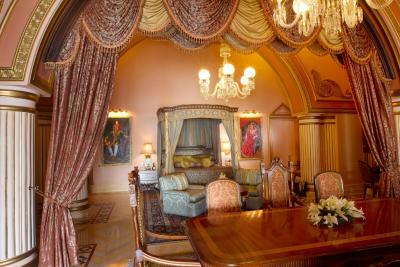 The Palace is living up to its standards! The property is fantastic. The staff was amazing. The food was delicious! Bar terrace was unfortunately closed. The food too bad and they even charged me in spite of telling I got rashes on skin and stomach pain after eating the food . Choice of pillows and coverlets. We stayed 3 nights in February, the property attracts alot of birds to their courtyard, I mean alot! Their constant chirping one morning from 2am to 6am meant I couldn't get much sleep. However I got used to them after the first night. Just be aware. Nothing really. The pool area struggled with pigeons, but they keep it as cleaned and as well maintained as possible.